If mortgage market interest rates are lower than the current interest rate you’re paying on your mortgage, it’s a good time to look into refinancing. Here are some basics to keep in mind. 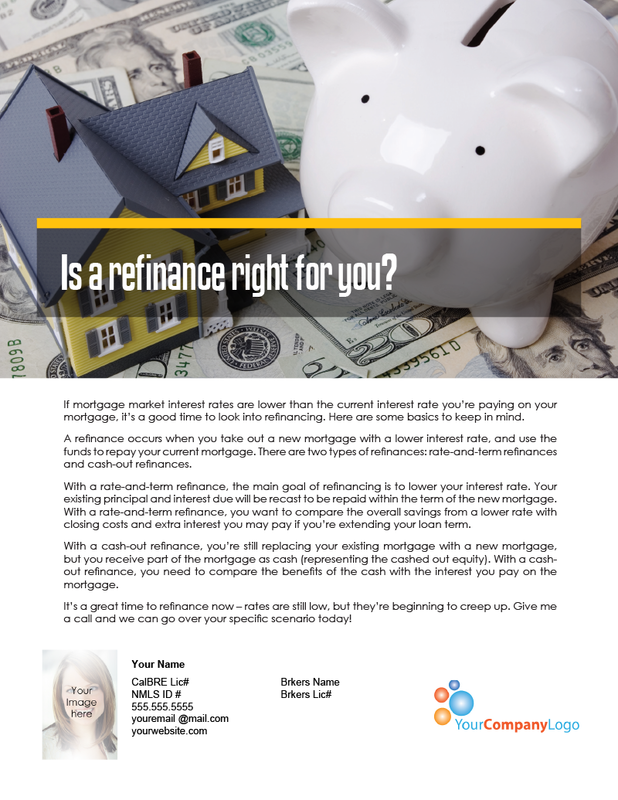 A refinance occurs when you take out a new mortgage with a lower interest rate, and use the funds to repay your current mortgage. There are two types of refinances: rate-and-term refinances and cash-out refinances. 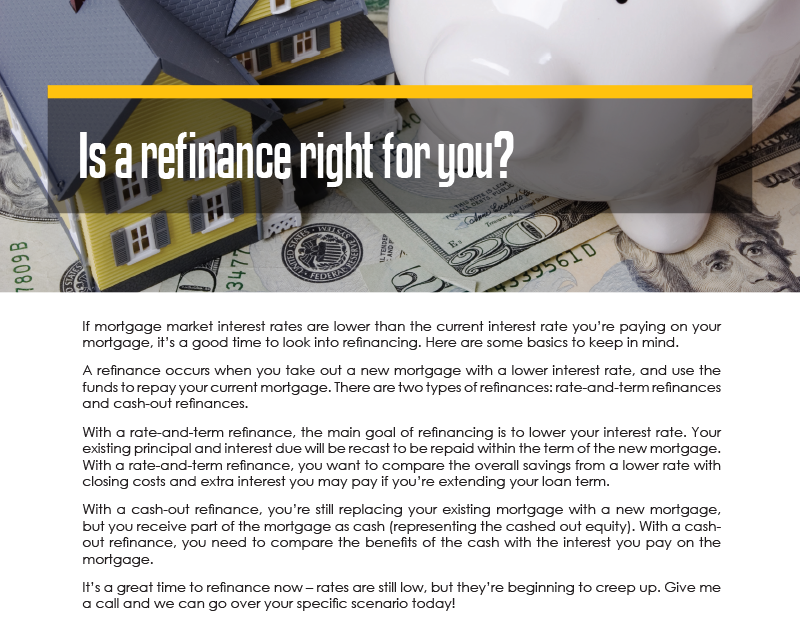 With a rate-and-term refinance, the main goal of refinancing is to lower your interest rate. 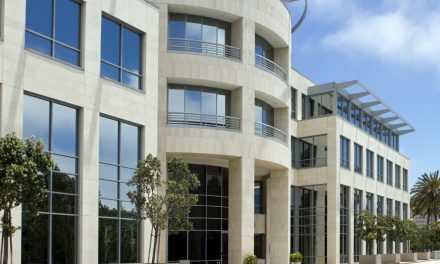 Your existing principal and interest due will be recast to be repaid within the term of the new mortgage. With a rate-and-term refinance, you want to compare the overall savings from a lower rate with closing costs and extra interest you may pay if you’re extending your loan term. With a cash-out refinance, you’re still replacing your existing mortgage with a new mortgage, but you receive part of the mortgage as cash (representing the cashed out equity). With a cash-out refinance, you need to compare the benefits of the cash with the interest you pay on the mortgage. 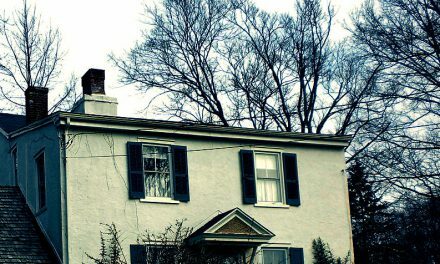 It’s a great time to refinance now – rates are still low, but they’re beginning to creep up. Give me a call and we can go over your specific scenario today! NextPOLL: What do buyers resist most in the homebuying process? Thank you for bringing this to our attention! The download links have been updated with the correct FARM letter.